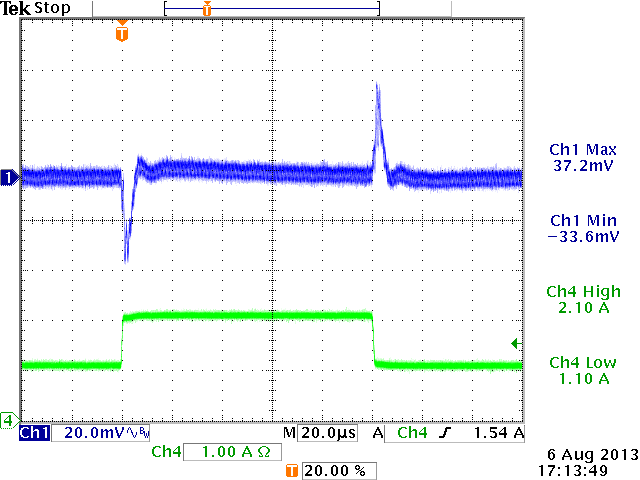 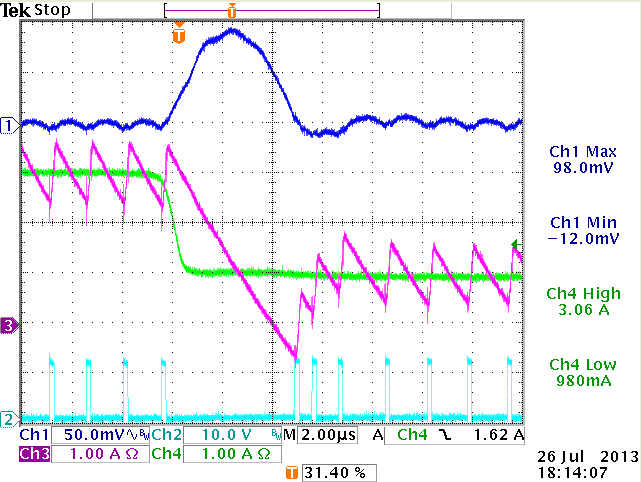 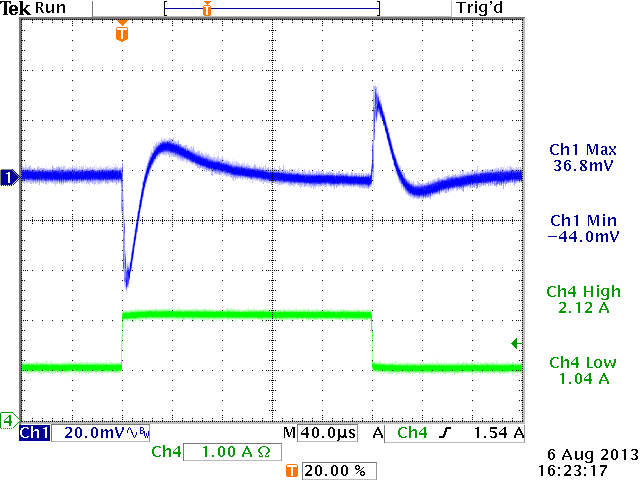 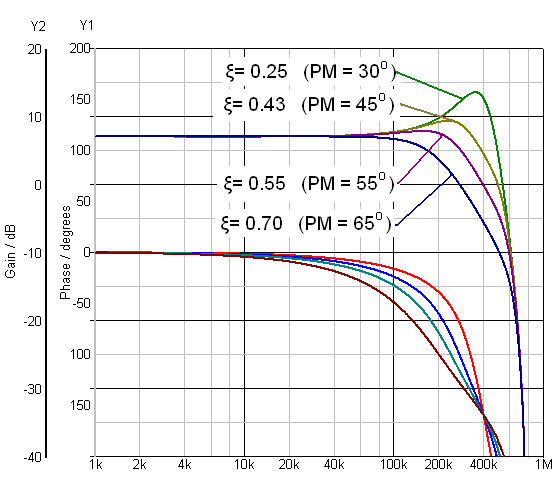 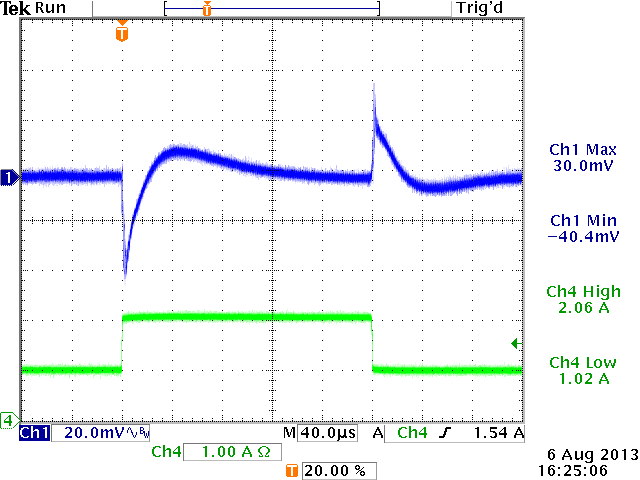 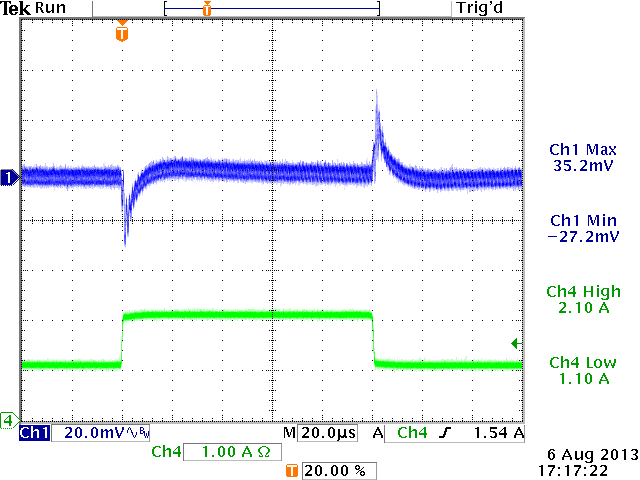 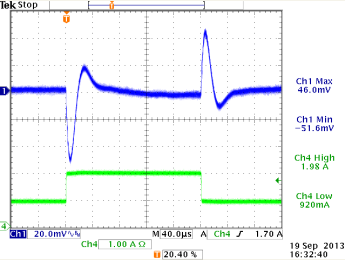 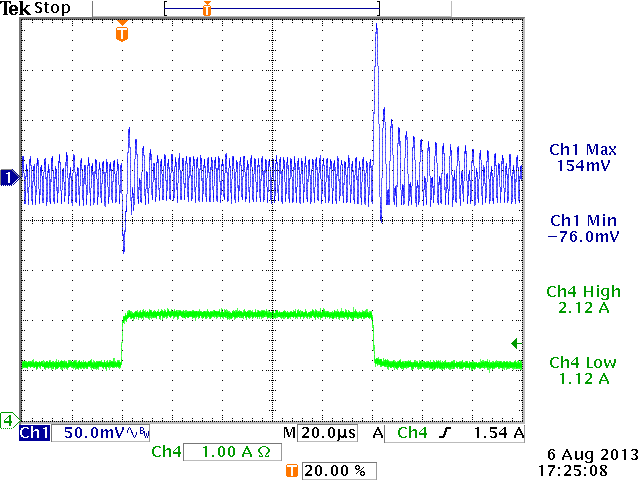 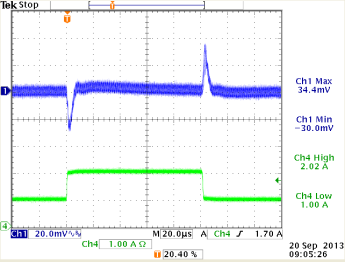 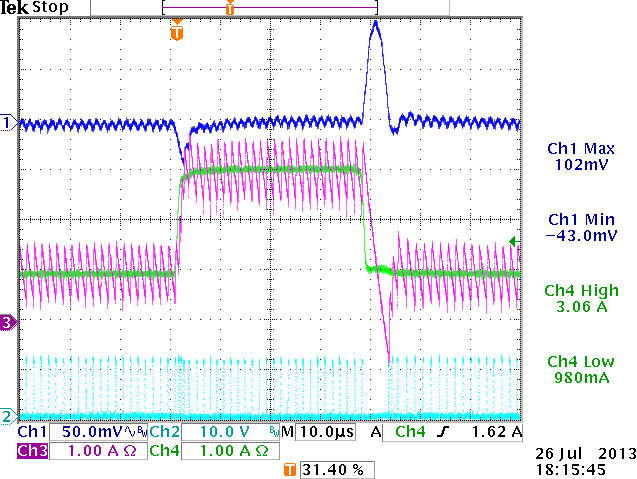 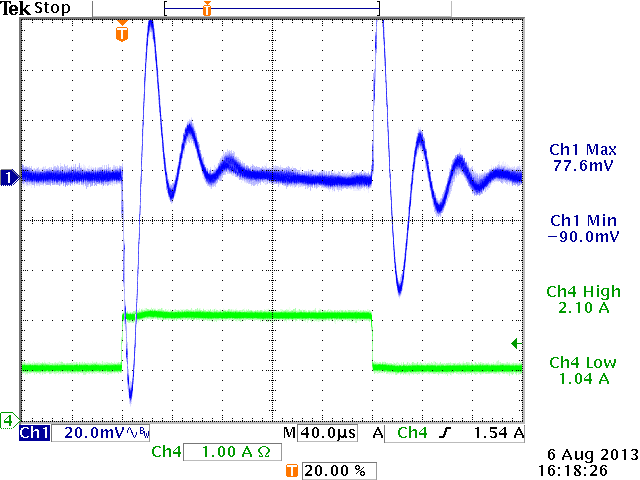 Capture of max soar with inductor current added. 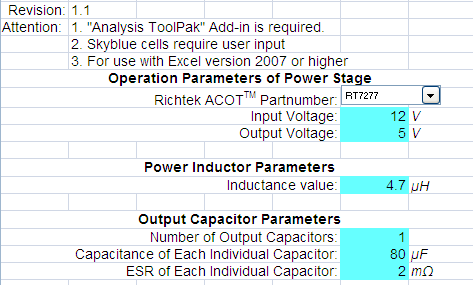 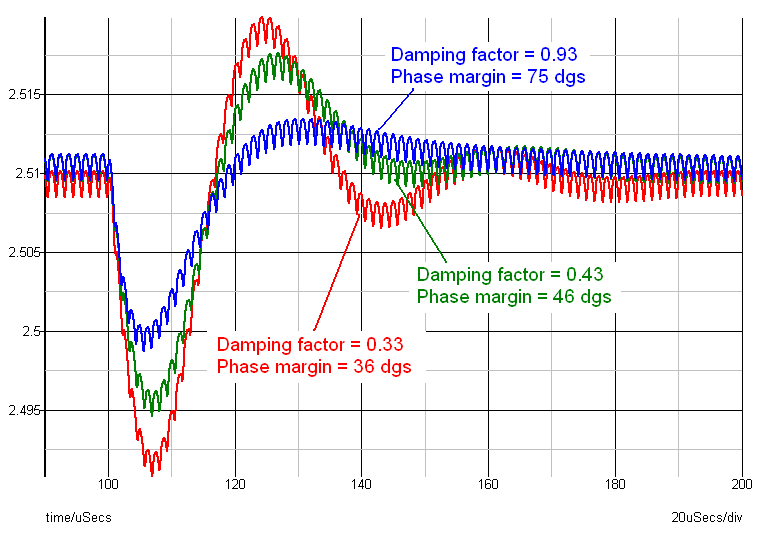 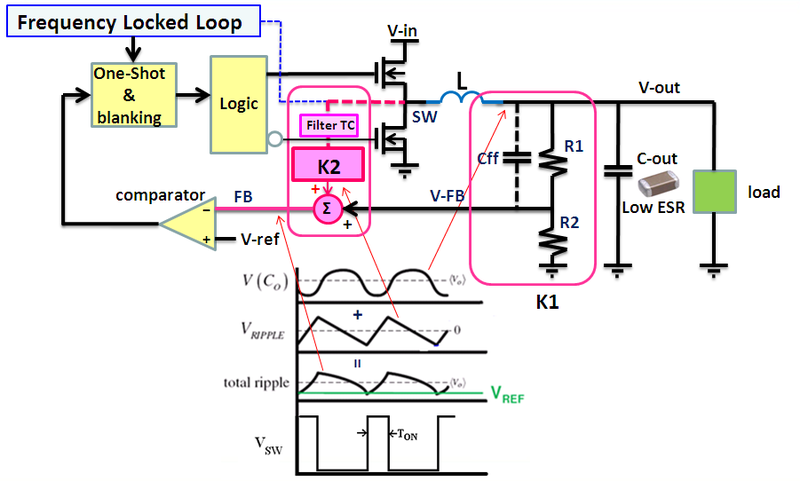 Soar on output happens due to slow discharge of inductor current. 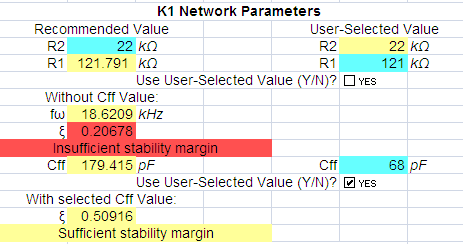 Soar is not related to stability.